The W Hong Kong is a five-star in Hong Kong, established in 2008. The hotel boasts a stylish mix of ground-breaking modern design, contemporary comforts, lively settings and cultural influences from fashion to music. W Hotel planned to launch a customer loyalty programme for its restaurant on mobile by leveraging the popularity of WeChat, the most popular instant messenger in China. 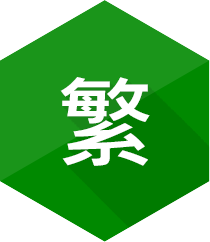 VICOSYS has used our platform “WeFortuneCat” to develop an electronic stamp collection card on WeChat for W Hotel. 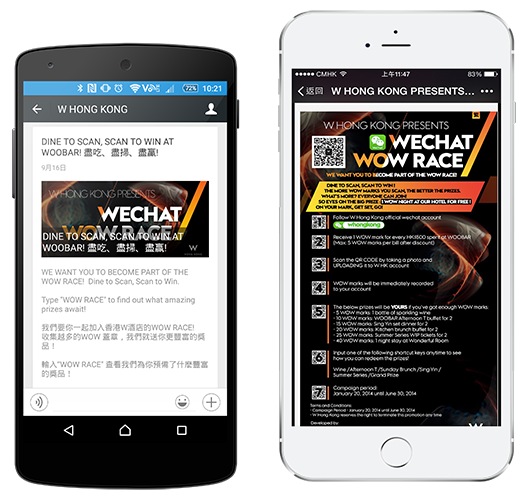 Customers can earn WOW marks from their spent at WOOBAR and redeem prize by using WeChat.